Nitro has some unique genetic and his dam is black. He is very mature for his age and has 2 cria on the ground, both girls. We have used him on several girls this year to get a sense of what he can throw. Judging from the girl we have here already we won't be disappointed. 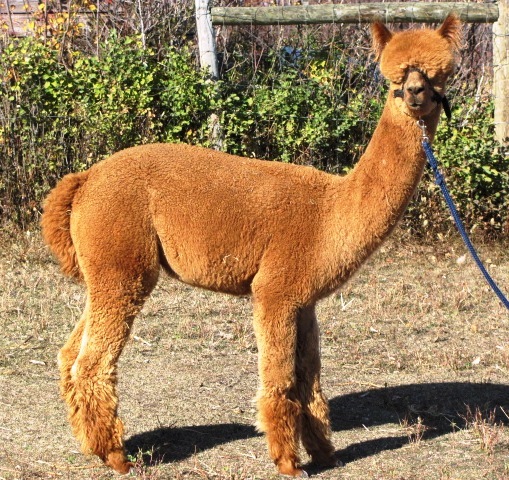 For 2016 cria he was bred to Jersey, Indianna and Fiki and produced 2 females and a male. All are very solid cria with excellent staple length so far.